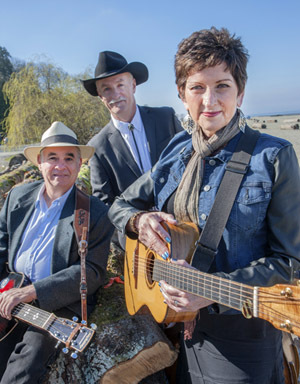 Sue Malcolm has been performing country, folk, bluegrass and western swing for over thirty years. A talented singer/guitarist, with a warm personality, Sue can engage and entertain any audience. Available as a solo, duo or trio (The Soda Crackers www.thesodacrackers.com ) Sue will create the right program for your needs and budget. As the Coordinator of Music for Crossroads Hospice, music volunteer at the BC Cancer Agency, and a retired counsellor, Sue brings with her an added level of experience in therapeutic practice. 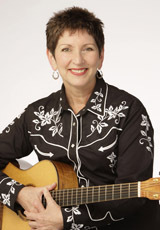 Sue also teaches adult guitar classes, and has taught thousands of people the art of bluegrass jamming at festivals, bluegrass clubs, and night school classes. Sue is also a certified teacher of Music Together, a family music program for children ages newborn to kindergarten. Sue has been performing for seniors since 2008.